Nothing should ever rub your baby the wrong way. Mee Mee Fresh Feel Baby Powder is clinically tested and gentle for your baby's tender skin. Climate changes and other factors can leave your baby feeling uncomfortable. This lightweight powder will help keep your baby's skin fresh and dry. It is safe to use from birth and is dermatologically tested. 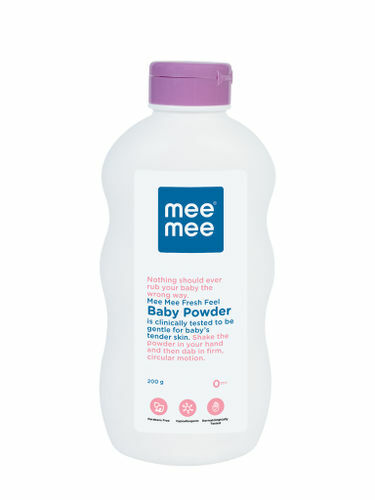 This baby powder can be used after bath, after a nappy change or just to freshen up during the day.